Sister Augustine arrives with boils on her hands, which House interprets as an allergic reaction to dish soap. The prescribed antihistamine causes an asthma attack and heart failure. House decides to test various allergens for reactions, but even in a hypoallergenic room, Augustine has convulsions. An X-ray reveals a copper intrauterine birth control device in her uterus, which means she is allergic to copper. Diagnosed Disease: Copper Allergy - Allergies are caused due to hypersensitivity of the immune system. They occur when the immune system misinterprets harmless compounds, in this case copper, as toxins or pathogens and initiates an attack against the foreign material. This compound is known as an allergen. The main causes of the symptoms of allergies, namely inflammation and redness, is caused by a chemical called histamine that is released by an immune cell called the mast cells. After the first exposure the immune system goes through a period of sensitization, which can take months to years and explains why Augustine reacted much after the device was implanted. Any following exposures will cause the release of histamine and initiate the allergic reaction. Mild Allergies: stuffy nose, watery eyes coughing, sneezing, inflammation, rashes, vomiting. Anaphylaxis (life-threatening allergic reaction): wheezing, blocked airways, hives, blue-tinged skin, asthma attack. No specific cause however known to arise from a genetic predisposition. A skin test also called a prick test can be used to find the specific allergen. The test is done by pricking the skin in various places and then applying different allergens to the different pricks and seeing which ones cause a response. Only done for mild allergies. Treatment for allergies can be anti-histamines and steroids to decrease inflammation. Anaphylaxis symptoms require epinephrine to immediately relieve symptoms and prevent death. This video on the left is a good summary of the immune system response and the development and effects of allergies. However, keep in mind that it does not cover all aspects of this complex reaction. Some good in-depth explanations of the immune system's inner-workings can be found by watching several videos of the Khan Academy. Which can help put things in better perspective. This Wiki article is also very informative, in-depth, and accurate. Fun Fact: The figwort tea that Augustine drank before a shot of epinephrine caused her cardiac arrest. House takes up a case of a schizophrenic single mother when she gets deep vein thrombosis which then travels to her lungs and causes her to collapse. This woman has an alcohol problem and her son is working with a disability counsler to continue the benefit checks. One night, Lucille calls social service to take care of Luke, which is a sane decision and leads House to suspect a misdiagnosis. Copper rings around Lucille's eyes confirms Wilson's Disease. Diagnosed Disease: Wilson's Disease - Wilson's Disease occurs because of the body's inability to dispose of copper, which causes it to build-up in different organs, starting with the liver and then moving to the brain in most cases. It's a genetic disorder that causes a defect in the molecule that is able to safely transport copper out of the body, ATP7B. 1 in 40,000 people suffer from this condition. With the build-up in the liver, hepatitis (liver inflammation) will be one of the first noted sysmptoms. It is followed by build-up in the brain which is characterized by coordination and movement problems, tremors, memory loss, seizures, and most importantly, the signature amber-colored rings called Kayser-Fleischer rings around the iris due to the copper build-up. 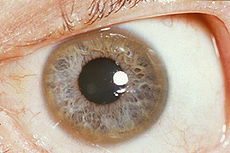 Wilson's disease is a genetic disease that shows its characteristic symptoms by a person's twenties. A blood test can by done to check for levels of ceruloplasmin, which should be low since the copper neutralizes it. The Kayser-Fleischer rings are unique to Wilson's. A liver biopsy can be done to check for copper build-up. It is treated using drugs that can neutralize the copper and help the body release it, such as penicillamine. Another drug used is zinc acetate which can prevent the absorbtion of copper by the body. Fun Fact: Ethanol can temporarily shrink tumors! House does this to get the surgeon to operate on a large tumor his patient has. Elise has been sick in bed, sleeping almost eighteen hours each day. The team has no idea what's wrong with when she starts having seizures. Wilson believes it could be small cell lung cancer, but House think otherwise. Then she begins having hallucinations and goes into a coma. Suspecting Elise may have had an affair and contracted African Sleeping Sickness, House injects her with the treatment. Her temperature rises to 104 and then she comes out of the coma. Diagnosed Disease: African Sleeping Sickness - African Sleeping Sickness also called human African trypanosomiasis is caused by a parasite only found in Africa and is transferred to humans by the tsetse fly. In the initial phase, the parasite dwells in the lymph nodes causing them to enlarge greatly causing symptoms. In the final stage however, the parasite migrates and infects the brain causing the neurological symptoms and is followed by death. Impressively, the reason the immune system is nearly helpless against this infection is because the parasite can spontaneously change its surface proteins making produced anti-bodies useless. This means you can be infected more than once. Lymph node swelling, red sore on the bite site, headaches, disruption in sleep cycle causing excessive sleep, tremors, coordination problems, seizures, and finally a coma. Transmitted by a tsetse fly bite. It can also be transferred from mother to child. Or it can be through sexual contact. A blood test is the best diagnostic option and can reveal the parasite under a microscope. Pentamidine can be used if the disease is caught before brain infection. For later stages other drugs such as suramin, melarsoprol, eflornithine, and nifurtimox need to be used. Matt is admitted after falling down in class and beginning to seize. Bloodwork confirms that an organophosphate is causing Matt's problems. After two doses of hydrolase that fail, they finally find the correct hydrolase and discover that pesticide that had been spilled on his pants was the poison. Diagnosed Disease: Pesticide Poisoning - Organophosphate poisoning is a common cause of accidental poisoning throughout the world. This poison works by inactivating an enzyme crucial in the proper delivery of a nerve impulse to the muscles at the neuromuscular junction. This junction works using a messenger molecule called acetylcholine; however, this molecules has to later be broken down by an enzyme called acetylcholinesterase so that it doesn't build-up and cause impulsive muscle contraction. Organophosphates inactive this enzyme which leads to adverse symptoms. Symptoms affect the whole body with bradycardia (slow heart rate), difficulty breathing, abdominal pain, seizures, confusion, and muscle cramping. Organophosphate poisoning most commonly occurs with pesticides that contain these molecules. In the episode, a pesticide that was spilled on Matt's pants was how he got poisoned. Only a blood test can be run to check for levels of acetylcholinesterase. An antidote called atropine is usually used to cure the patient. However in the House episode, they used a hydrolase, which is an enzyme used to catalyze the hydrolysis (rupture) of another chemical bond; in this case the organophosphate.